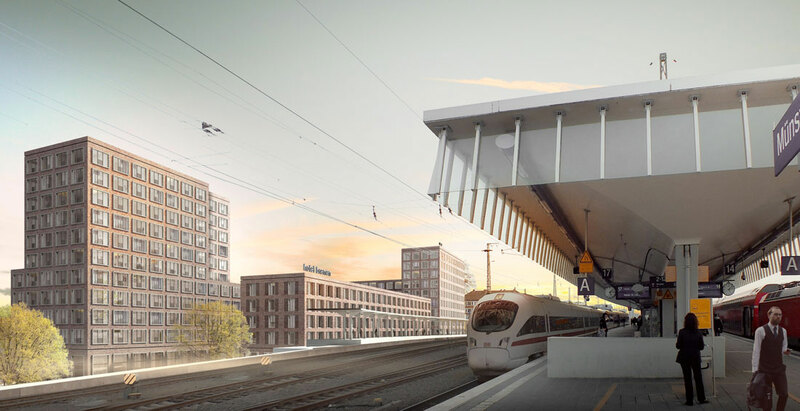 With the reorganization of the eastern station forecourt, there is the opportunity to set an important urban development focus for the main station and the development of Bremer Platz. 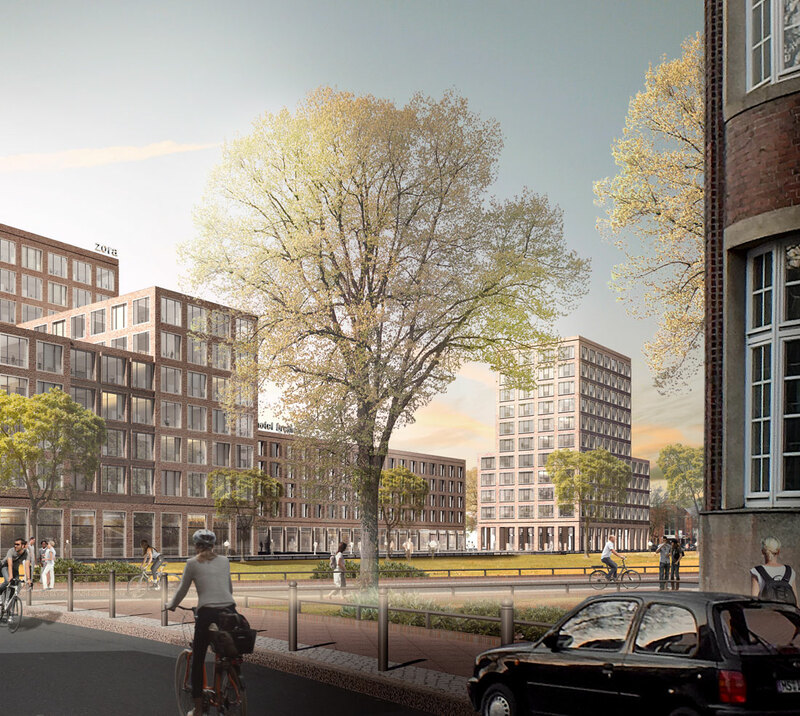 The property is adjacent to Bremer Platz and the Hansaviertel, a residential area with a high population density. Due to the precise composition of three individual city buildings, the public areas( i.e. platform access, right of way and station forecourt) are architecturally managed on the site. 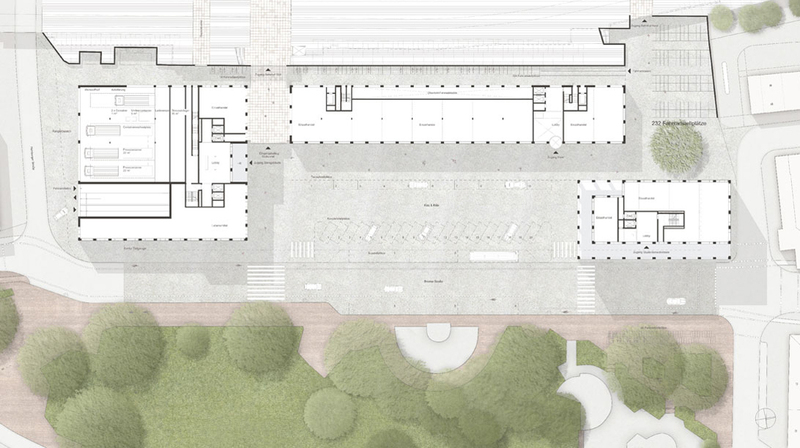 The formation of the three structures is characterized, on one hand, by the requirements of the new city square, a three-sided space opening to Bremer Platz and a more over-arching effect of the new station is achieved by the formation of two towers, on the other hand. The northern, as well as the southern high-rise building have set backs so that they integrate with the surrounding existing buildings. The newly developed areas in front of the eastern entrances of the northern and southern tunnels are clearly structured and characterized by wide passageways. The high space requirement for the bicycle parking areas is solved mainly by covered double storey parking units at the new retaining wall of the railway. 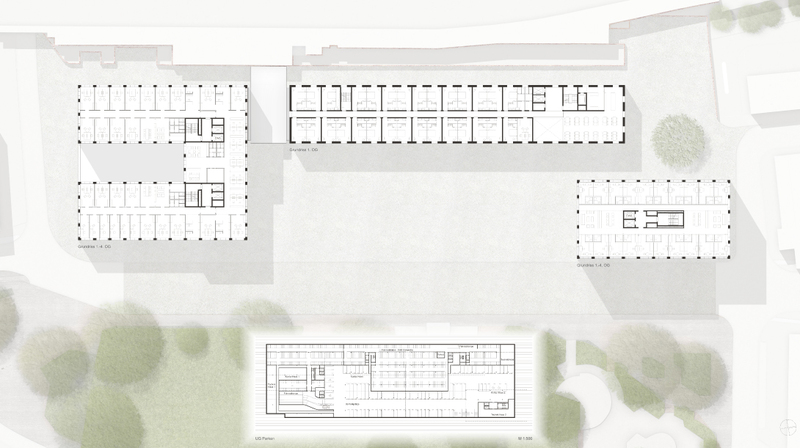 The ground floor zones of the buildings are determined by retail space, which can be structured for large or small scale according to usage and give the urban space a familiar, active image. The office, residential and hotel buildings are entered from the square or the colonnades and are each defined by a striking entrance and lobby area. The office building is organized so that single or multi-tenant use is possible. 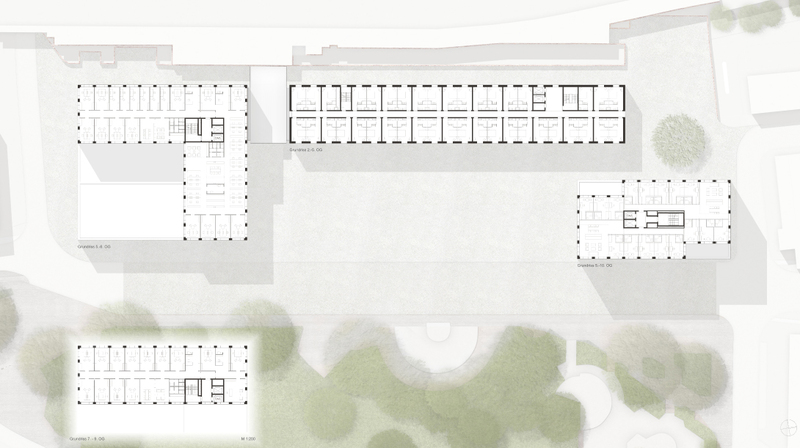 The student tower accommodates 20 or 16 student apartments per floor, grouped as 8 or 10 rooms around a common area. 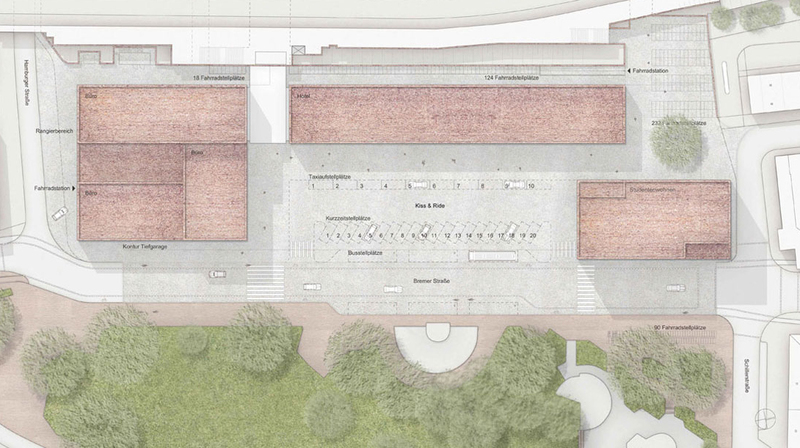 The combination of brick and natural stone, which was characteristic of the historic main station of Münster, is taken up as a design theme and reinterpreted. The result is an ensemble, characterized by brick and accentuated by precisely crafted natural stone frames. The facade appearance is an expression of the different uses. The result is that office, residential and hotel facades make the interior legible and yet relate to each other through their proportions.